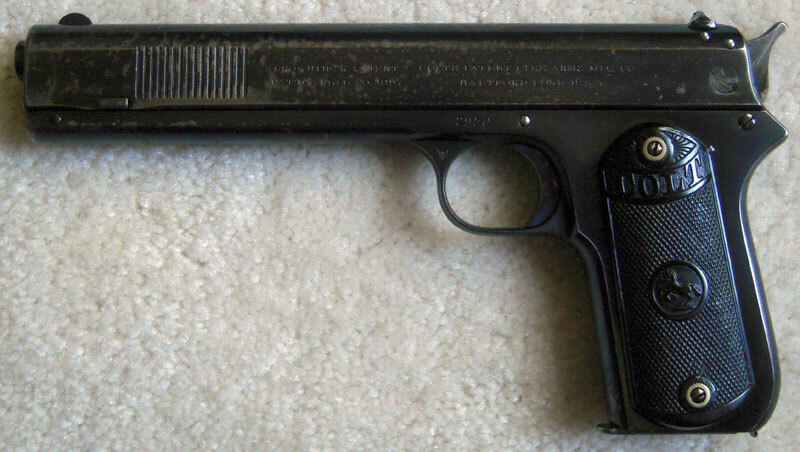 Model 1900 Sight Safety Altered Serial Number 2950 - This pistol is a middle variation of the Model 1900 with front plunge milled serrations, high polish blue, high spur hammer and factory altered sight safety. 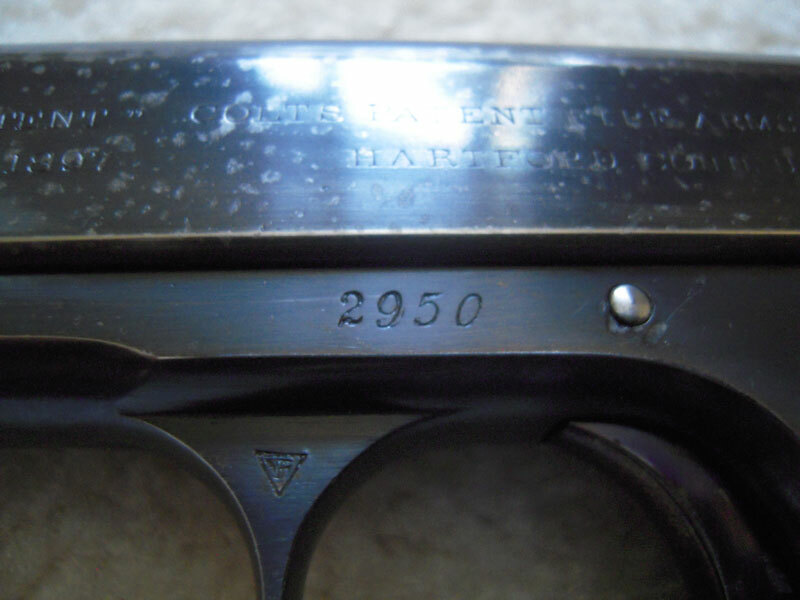 Serial number 2950 on left side of frame, above trigger. 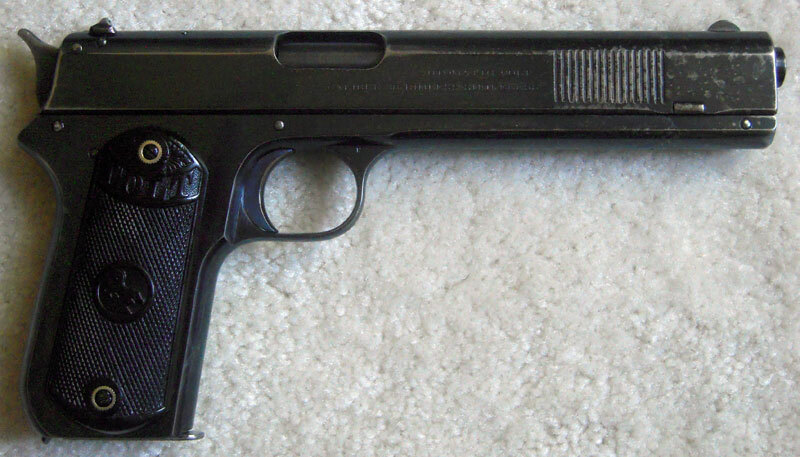 Presence of VP mark indicates that the gun was returned to Colt's sometime in 1905 or later for the sight safety modification. Factory Alteration to Sight Safety - sight safety has been removed and plugged with a piece of steel. A second pin was inserted in the rear of the slide to secure the block. 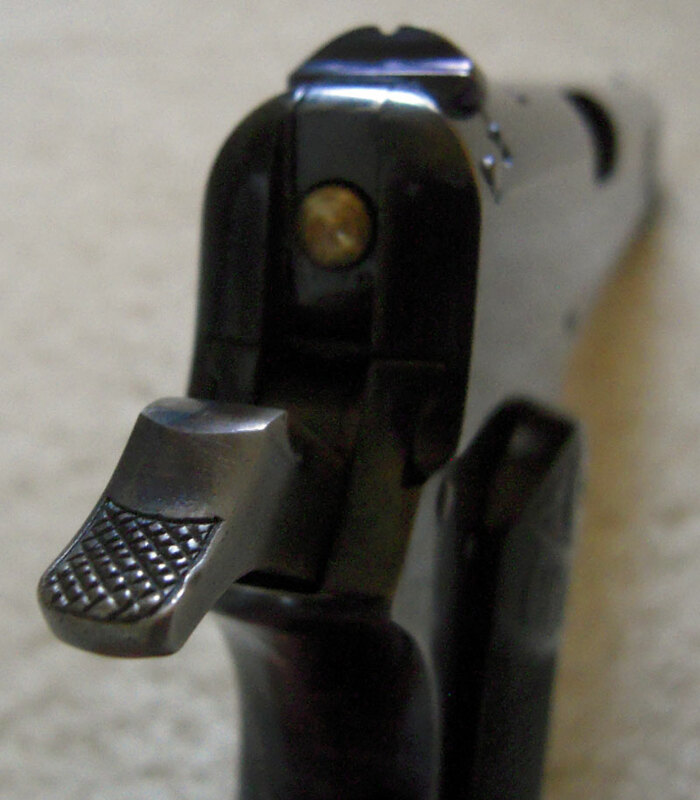 Top of slide was modified with a dovetail to accept the new rear sight. Spur hammer back showing bronze firing pin and altered sight safety modification.